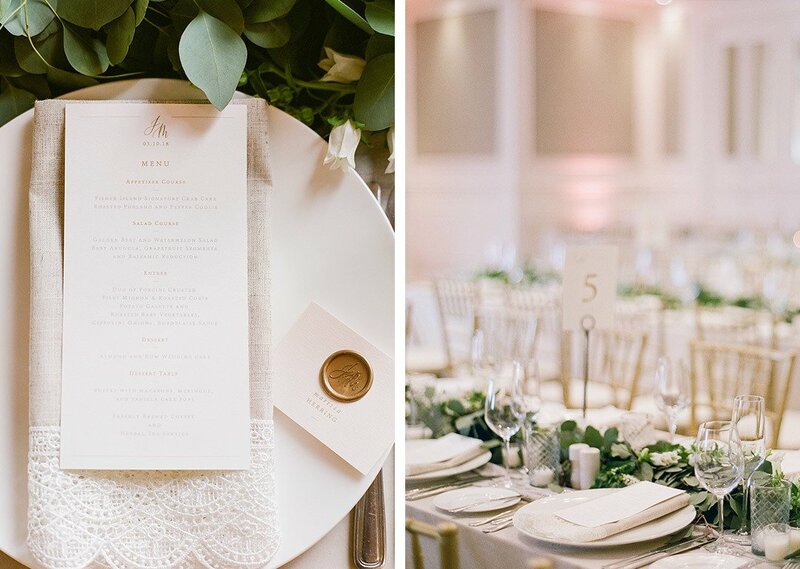 For that truly ethereal wedding look, we love how The Creative’s Loft used our Flax Elizabeth Lace Napkin. 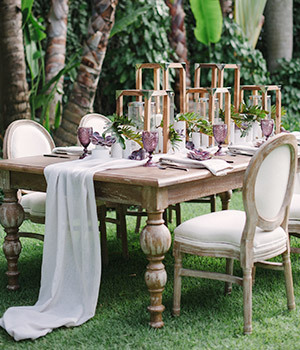 The neutral fabric with a linen touch tied in perfectly with the rustic feel of the evening. And a nice lace edge adds just a touch of playful to the exposed wood tables! 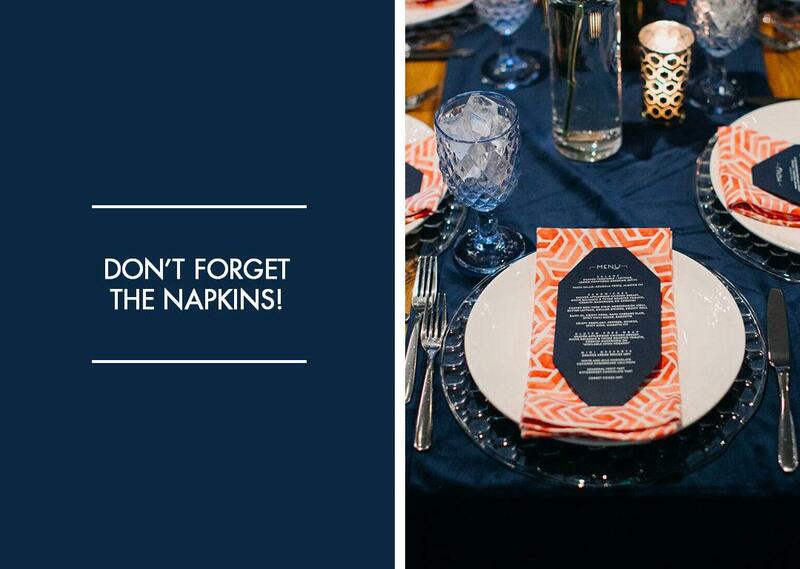 For a more corporate feel, we’re totally into Lindsay Landman Events’ use of our Coral Honeycomb Napkins paired with our Indigo Velluto linens and runners. 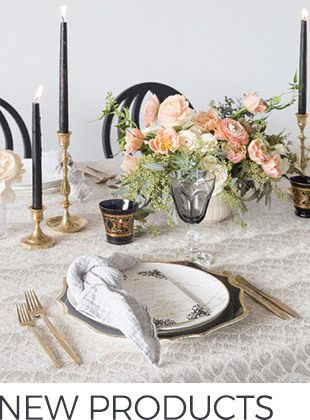 This networking lunch, at The Knot Pro Workshop in Philadelphia, was a beautiful blend of elegant and fun. 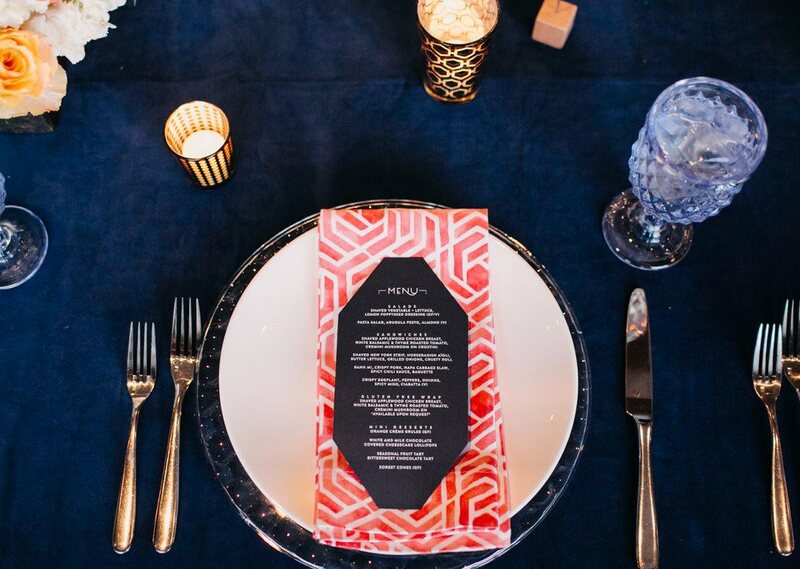 The mix of runners and full linens in a traditional navy blue were a perfect contrast to the bright hued geometric print! 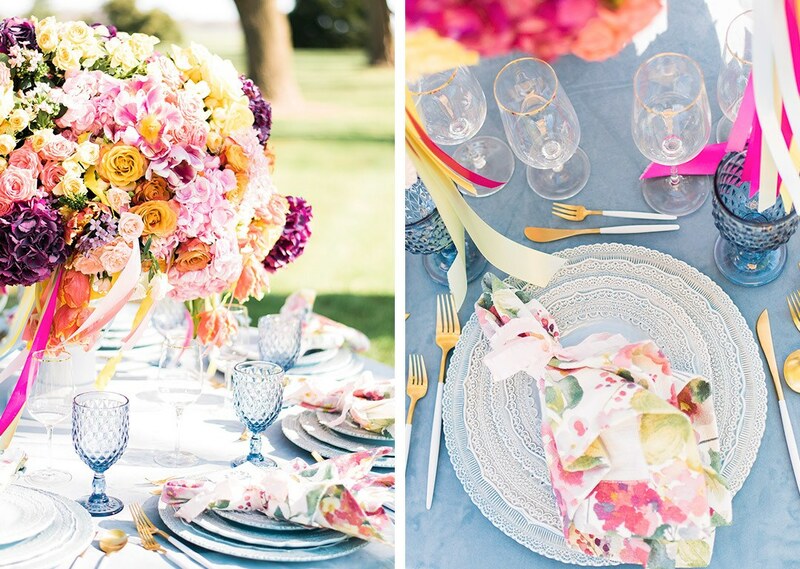 For that summer vibe, we’re head over heels for our Floral Monet Napkin at this Styled Shoots Across America set up. 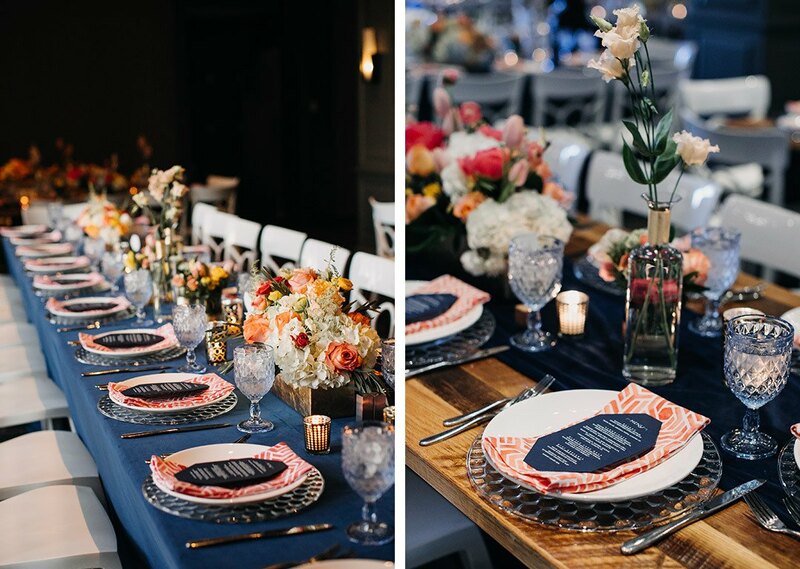 Heather Benge Events designed this table, with our Sky Velluto linen as the soft blue base, letting the flowers and décor really shine bright in their bountiful colors. We think it’s the perfect place to grab a sunshine filled brunch. 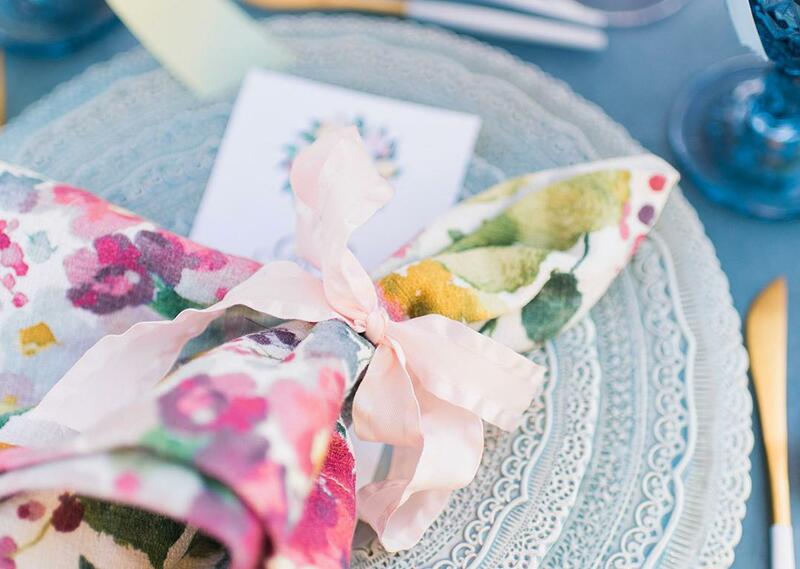 From lace to prints and infinite colorful options in between, we think napkins add just the right touch of detail to any event! What’s your favorite from our collection? This entry was posted in Social Events, Wedding Inspiration. Bookmark the permalink.